What’s the difference between uploading and downloading? What is my current upload speed? How can I increase my upload speed? What upload speed do I need? Which is the fastest home broadband provider for uploading? Which is the fastest mobile broadband provider for uploading? Which broadband is best for uploading video and photos? Search for a new broadband package and the figure you're most likely to focus on after price is the download speed. And while that is important, many people will also need to ensure they have a suitably fast upload speed to get the most out of the service. This detailed guide to upload speed will tell you all you need to about it when comparing broadband. If you're after more information on internet speed in general - we've also got that too! Check out our ultimate guide to broadband speed. Any time data is transferred from the internet, you are downloading. Uploading is when data goes the opposite way and is sent out to the internet. 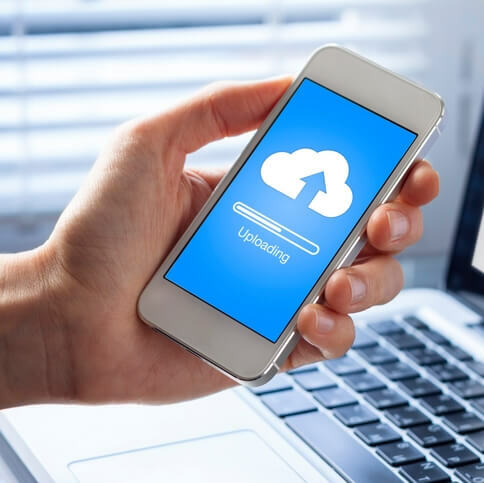 Posting photos on Facebook and Instagram, or backing up data to a cloud storage service such as Dropbox are common uses at home. For businesses, having a fast upload speed may be crucial for promptly transferring data to clients. When it comes to broadband services the differences in speed between download and upload are pronounced as most connections are asymmetrical. This means the link is optimised for faster speeds in one direction, and - specialist business services aside - this will always provide a higher download rate at the expense of upload speed. Typically, an ADSL connection with a download speed around 10Mb will have an upload rate of just 512Kb-1Mb at best. Symmetrical broadband connections provide the same speed in both directions, but these are rare. Fibre To The Home (FTTH) broadband packages may be symmetrical, and some (often expensive) business broadband connections will also offer it. Otherwise the vast majority of us are going to be using asymmetric broadband optimised for downstream speed, which means uploads take far longer to complete than downloads. If you’re planning on using the broadband service in a way which makes heavy use of uploading it’s important to be aware of this and choose the right broadband package in order to get the best possible upload speed. Some research may be required to find out your current advertised rate. Download speed is always made obvious by ISPs but it is not as easy to find the upload rate as this information might not be clearly displayed. A Google search will probably reveal more, otherwise contact the ISP to find out. As a rough guide, ADSL broadband will usually have an upload rate of up to 512Kb or 1Mb, and fibre optic broadband using the BT Openreach and Virgin Media networks will typically be somewhere between 6Mb and 20Mb. Once you know what the maximum upload rate should be, use our broadband speed test to see how it actually performs. Run it at various points throughout the day to get a clearer picture of the performance as peak-time traffic can have an impact. Improving upload speed is sometimes possible but it will depend on your current setup, broadband availability in your area, and how much you’re willing to spend. To begin with, shut down other unnecessary devices and applications which may also be uploading. Having multiple computers, tablets, smartphones, games consoles and software all running at the same time could drastically slow things down. Also ensure the network connection is as fast as possible. For best performance connect to the router with a LAN (ethernet) cable. On Wi-Fi, move close to the router for the strongest signal. But if you often suffer with poor Wi-Fi signal it may be worth purchasing a Wi-Fi signal booster or new router. Unfortunately there will often be no way to increase upload speed to any great degree because it’s already operating at the maximum speed supported by your line. In that situation you’ll have to find out if a faster broadband service is available. For ADSL broadband users, a move to fibre optic broadband via a BT Openreach line or the Virgin Media network can provide a huge improvement. Even if you are already using fibre there may be faster options. Although the maximum upload speed of any Openreach or Virgin network connection is currently 20Mb, not every package offers this top speed and an upgrade might be available. The ideal upload speed for you depends on what type of uploads the connection is going to be used for, and how often. ADSL broadband or 3G mobile internet is quick enough for sharing photos and video clips, sending documents, playing online games, chatting over Skype and many other common uses. They can handle larger files of course, but this could take a very long time - a 4GB file about the size of a single layer DVD would take 11 hours to transfer at the average ADSL upload speed of 0.8Mb. If you are often uploading large amounts of data then a fibre optic connection is recommended as they are significantly quicker. For instance, Virgin Media’s upload speeds go from 6Mb (1.5 hours to send 4GB of data) to 20Mb on the high end packages (which means a 4GB file could be sent in as little as 26 minutes). And BT Openreach fibre broadband offers a similar range of speeds, with a maximum of 20Mb. The fastest possible upload speed you can get right now is from a ‘full fibre’ gigabit service such as Hyperoptic, Gigaclear and Gigler, which offer ultrafast 1Gb symmetrical connections. Unfortunately these are not widely available so only a lucky few will have this option. For most of us the best upload speed is going to come from the fibre optic services offered by the Virgin Media and Openreach (BT) networks. Both presently deliver a maximum upload speed of 20Mb and are widely available across the country. But not every package offers the maximum possible upload speed. 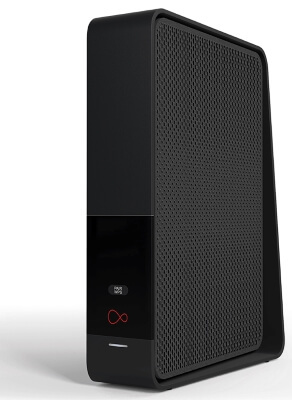 In order to get a 20Mb upload speed on Virgin Media you must have the VIVID 200 Gamer or VIVID 300 packages. The regular VIVID 200 upload speed is 12Mb, while other packages are limited to 6Mb. There is a similar variability with ISPs which use the BT Openreach network. Sky Broadband has a maximum upload speed of 9.5Mb on Sky Fibre and Sky Fibre Unlimited, but up to 19Mb on Sky Fibre Pro. To get an idea of upload speed on mobile networks we can turn to Ofcom’s Smartphone Cities study, which examines mobile internet performance in seven urban locations across the country. If you’re planning on uploading large files with a mobile internet connection a 4G device is definitely recommended to minimise the time it takes. EE enjoys the widest 4G coverage and consistently comes out on top in speed tests, though the other networks can also provide a sufficiently speedy upload rate. When it comes to 3G, all networks offer similar performance. We'd also recommend you select an unlimited mobile broadband package, if you do plan to upload regularly using mobile data. Uploading outside the UK comes with some extra considerations you need to think about before travelling. It’s especially important to plan in advance if uploading is crucial for work, and not just for sharing holiday photos on Facebook. Mobile internet can be used, but this could be very expensive. Within the EU prices for internet access are capped, but elsewhere it can cost as much as £6 per MB. Some providers do offer free roaming. Three’s ‘Feel At Home’ feature allows you to get online for no extra cost in selected locations, and EE gives 100MB of free data within the EU every month. Even if it’s not free there is probably a way of saving money by purchasing a roaming data bundle. But as well as considering the cost it can also be tricky to find out whether signal is available ahead of time, or what kind of speed you might get. Mobile uploads when roaming could therefore be both slow and expensive - not a great combination. 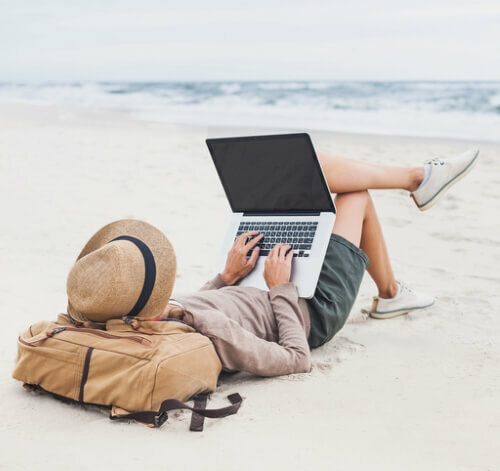 Mobile connectivity can generally be relied upon for small uploads such as the occasional picture or emailed document, but if you need to send larger amounts of data a public Wi-Fi hotspot is probably the best choice. Many hotspots are free, otherwise the cost is likely to be insignificant compared to sending the files over a pricey mobile broadband service. They’re often going to be much faster, too. Security can be a concern when using public Wi-Fi so you should protect the connection with a VPN. For further assistance with roaming, read our guide to using mobile broadband abroad. There’s perhaps no more popular use of upload capacity than posting photos online; it’s said that billions are uploaded every day. And while photos don’t tend to be huge it can still be useful to have a connection that can cope with a large volume of them if you’re constantly Instagramming or Snapchatting. Professional and amateur photographers will have their own specialist requirements which may benefit from faster upload speeds. 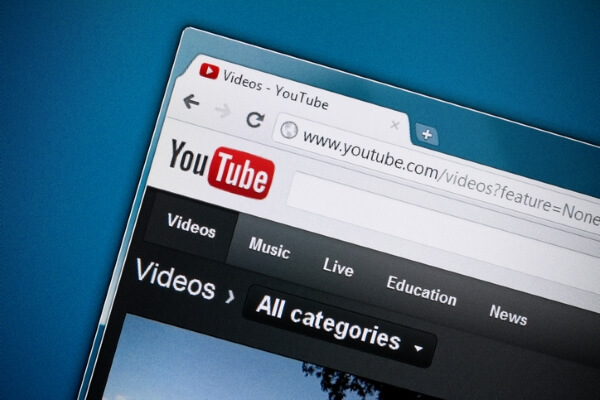 Video platforms like YouTube, Vimeo and Twitch are also massively popular, and can be very demanding. If you plan on sharing video with the world some research is required when choosing a new broadband package. Video files can be very large, so uploading is best done on a fast connection. Live streaming for services such as Twitch is a different beast. Because you’re not trying to chuck gigabytes of data onto the internet in the shortest possible time a slower upload speed is not necessarily a huge barrier. But there are other factors which complicate matters. Purely looking at speed, an upload rate of 1.8-2.5Mb would be the starting point for 720p resolution broadcasts, going up to 3-3.5Mb for 1080p. This doesn’t mean you can’t stream with slower connections, but there will be compromises. However as the video is being encoded and transmitted on the fly the computer needs be up to the job too; fast upload speed is no help if your PC is struggling to process the data. Experiment with bitrate, resolution, framerate and other settings to find the right balance between upload speed and the capabilities of the hardware. (It is more straightforward when streaming from a games console as these are not subject to the same variability in specification and do not offer a huge selection of settings to tweak - the PS4 and Xbox One simply provide high, medium and low quality options). Another point to remember about live streaming is not to completely saturate the upstream connection if it’s also required for other tasks. This is most applicable to gamers; if you’re trying to stream an online game make sure to leave some bandwidth for the game’s traffic too. As photos are usually much smaller than videos upload speed can be far less important, at least for a regular smartphone snapper. You do not need a superfast fibre optic service to share camera phone photos on social media or via text and instant messaging. 3G mobile internet and ADSL are easily capable of posting smartphone pics, which tend to be just a few megabytes each. And apps often optimise them for uploading to speed things up. However if you upload big batches of photos at once then the quicker speed of a fibre optic connection may be welcome. If upload speed is an issue and quality is not paramount, compression can be used to reduce the file size. It’s very easy to use photo editing tools such as Photoshop or the freeware Paint.net to resize an image and save the file at a lower quality. Alternatively, adjust your camera settings to take pictures at a lower resolution. While compression and reduced resolution are not a big deal for smartphone selfies, pro photographers and artists won’t accept such compromises and fast upload speed can be a lot more crucial. 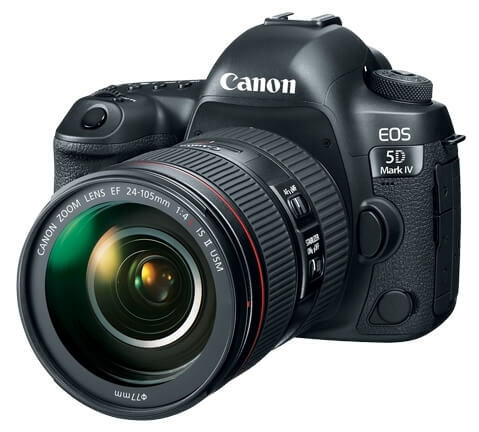 The RAW image of a high end SLR camera such as the Canon 5D can average 40MB. And the better the camera, the bigger these files get. Pros won’t hold back either and might take a large number of photos in a session, accumulating a massive amount of data. Graphic designers will also handle lots of data - Photoshop .PSD files may be gigabytes each, and other formats can be even larger. These files might have to be shared with clients, transferred to a remote office or backed up to the cloud for safekeeping. A fast upload speed is therefore more than just a convenience, it could be essential to your profession. Although adequate for uploading selfies and sharing small clips, ADSL and 3G mobile broadband aren’t recommend for large videos or images as uploading a big file could take a very long time. And video streaming, while possible, is going to struggle with anything more than low resolution broadcasts. 4G mobile internet is fast enough but you would quickly run into another problem: data usage limits. The largest mobile broadband data allowances run to about 60GB per month. That’s plenty for web browsing, but not a lot when handling gigabytes of data. Paying the overage fees or topping up a PAYG deal all the time would get very expensive. And of course the same applies to limited home broadband. The best broadband service for uploading videos and large photos for most of us is therefore a fibre optic broadband package from the Virgin Media or Openreach networks. They offer upload speeds up to 20Mb, affordable unlimited deals, and are available to more than 80% of premises.